A recent NY Times story has a very interesting take on the environmental movement and changes therein. These organizations in the past have taken national or even global approaches to the issues. The rise of global ambient temperatures caused by greenhouse gases is a case in point. The general public can be left cold at two levels. One is that global issues do not resonate with a lot of folks, local ones do. The other is the discounting of future privation. This is not unlike discounting future earnings in finance; a discount rate is applied which gives a lower present value. Similarly, future suffering is discounted, especially when it is 40 years out, as are most global warming warnings. Rising water levels on a Florida beach 40 years hence (and only a maybe at that) has little resonance with the public in Wyoming. One could call it two degrees of separation. The Times story draws a clever analogy. If a consumer is walking down a grocery store aisle and she sees a box with a delectable brownie on the face, she may be attracted to it. Some might look at the back of the box detailing the information indicative of an obese future for the consumer of the goods. Even though the future in this case is more in the short term than the aforementioned global warming one, the choice of looking at the back is personal and will not happen all the time. Environmental organizations are credited with focusing simply on the back of the box. This stuff is bad for you, we want saturated fat detailed, and we want the warnings to be explicit, and so on. Interestingly the smoking hazard warnings are in front of the box and likely work better. In this example, the context is local, so that problem is not there. You simply may not get the attention of the consumer. According to the story, some of these organizations are getting the message. They are going local and in front of the box. The first is simply a matter of organization, but the second is a bit harder, because the messaging has to hit at the value system. Ocean rise 40 years hence will not play. Asthma risk now for their children will. So, the Sierra Club is focusing on individual coal burning power plants and their presumed effects upon the local population. Shutting these older plants down one by one is the strategy. They have had considerable success and operate in 46 states. 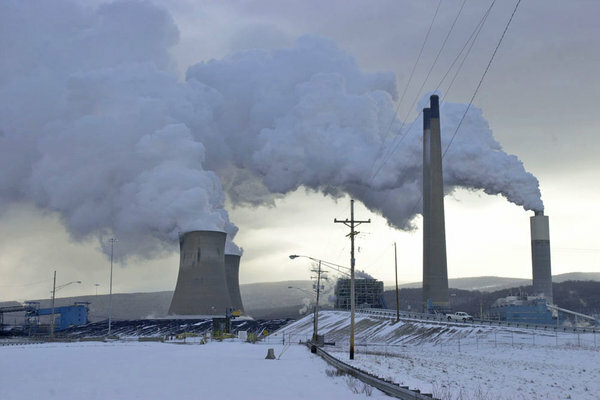 About 40% of coal plants not expected to conform to upcoming EPA standards are over 50 years old. If the Sierra Club and others have their way, it will not matter whether the EPA rules come down. The arguments in Congress over this could put off that day. But if the ill effects of the polluting plants are placed in front of the box for the public, the plants will likely get shut. Thirteen such are currently slated for this fate by Progress Energy in North Carolina. If shut down effectively through local action, the electricity will still have to be generated in some way. Natural gas is the only viable short to medium term option. The carbon emissions are about half that of coal, and the front of the box arguments regarding particulate emissions, mercury and NOx attributed to coal do not apply. The other option, that of a newer and cleaner coal plant, is not economically justifiable if gas remains relatively cheap. Plentiful shale gas will assure that. However, shale gas is the target of many activists who are fundamentally opposed to all fossil fuel. The back of the box issues of fugitive emissions of methane will not get much traction, especially because of the esoteric arguments involved in the modeling. So they have taken to the matter of methane contamination of water wells, with the powerful backing of a couple of Duke University professors. This is not ideal front of the box material because methane in drinking water is not believed to be a health hazard. But any perceived taint to drinking water is powerful stuff. The unfortunate aspect to all of this is that it distracts from the real issues, which are use of fresh water and most importantly, the potential for polluting discharge of flow back water from fracturing operations. The methane contamination of water wells, while possible, is easily correctable by best practices, voluntary or forced by rules and penalties. The other two issues require more effort, technical and organizational, and should be the focus of local community action. In the end the combination of effective legislation, technology, and industry cooperation can deliver cheap gas in an environmentally secure fashion. We just need to take the steps to make that happen. Then the side of the box will not matter. You are currently reading THE FRONT OF THE BOX at Research Triangle Energy Consortium.